Call Trucks Only Internet Department 602-354-7623 for all the specs and to schedule your test drive! This vehicle is loaded with great features, plus it comes with the CARFAX BuyBack Guarantee. Want more room? Want more style? 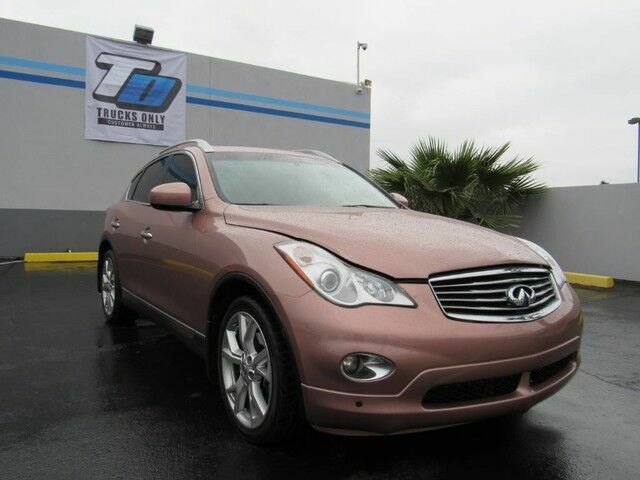 This INFINITI EX35 is the vehicle for you. Once you see this INFINITI, you'll quickly see that this is the perfect vehicle for the outdoor junky! You'll even feel relaxed knowing that this All-Wheel drive vehicle will get you to where you are going no matter what may come your way. Also, with this INFINITI EX35's dependable control you'll be able to drive into the sunset without a care in the world! This 2011 INFINITI EX35 has such low mileage it has been parked more than driven. First Oil Change on us, with every vehicle purchase. Ask if this vehicle qualifies for our Lifetime Engine Warranty! *Diesel and high performance engines are not applicable. Trucks Only has been in business for over 40 years. Our customers have helped us to earn and maintain the A+ rating with the Better Business Bureau and we have been honored to achieve the Customer Satisfaction Award with DealerRater 3 years in a row! Call Trucks Only Internet Department 602-354-7623 for all the specs and to schedule your test drive! Shipping is available across the United States! Please let us know how we can help you find the right solution for your needs!